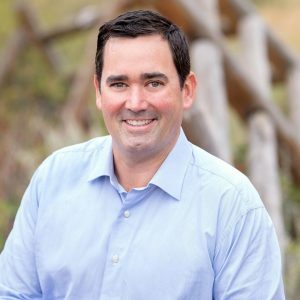 Republican gubernatorial candidate Walker Stapleton is making impressive strides in his effort to get on the ballot. His petitions were already approved by the Secretary of State’s office when Stapleton blew the whistle on the firm he hired to gather those signatures because one of the workers was not a registered Colorado voter. And with only four days to campaign for the Saturday assembly, Stapleton has hit the ground hard to maintain his frontrunner status. Tom Tancredo quickly endorsed Stapleton, and now the Colorado Springs Gazette is praising Stapleton’s integrity as a political candidate and state treasurer, where he has protected the state pension, fought against tax increases and the effort to turn Colorado’s health care system into a single-payer disaster. During two terms as state treasurer, the fourth-generation Coloradan has visited every Colorado county. He knows, better than most, the issues facing residents in cities, on ranches and farms, and in small agricultural and mining towns. He has consistently shown his unwavering loyalty to taxpayers and small businesses over government excess and special interests. We are not surprised Stapleton, a small business owner, made the quick executive decision to risk his candidacy and ditch questionable petitions. He cares about the people of Colorado. Win or lose, he wants a process that is fair for us all.